The smell filling the house this morning is autumnally divine 🙂 The combination of the sweet persimmon puree, mixed with the subtle spice flavor from the cinnamon, nutmeg and coriander create a wonderful home for the soft chunks of apples that easily melts in your mouth. Add to that the occasional date bite surprise and you got yourself a beautiful fall muffin treat, healthy enough for breakfast, sweet enough for dessert. For this recipe, either persimmons will work, but I used the fuyu, the small squatty ones that can be eaten hard. I had some soft ones so I used those. If you have some super ripe hachiya, those will work great as well, but just make sure they are super ripe. These are the tear drop larger ones. Those are pretty much inedible unless they are fully soft to the point of almost falling appart in your hand. I learned this the very hands on way. While I am typing this, it is quiet in the house as the kids are busy eating all the muffins that are barely cool enough to grab, but I made sure to put a large batch in a box out of reach. It makes me happy that my kids love my cooking this much, yet at the same time, it’s hard to not have them eat all the baked goods in one day! eat at will or store out of sight so you are not tempted to eat at will!! Note this made about 56 mini muffins. 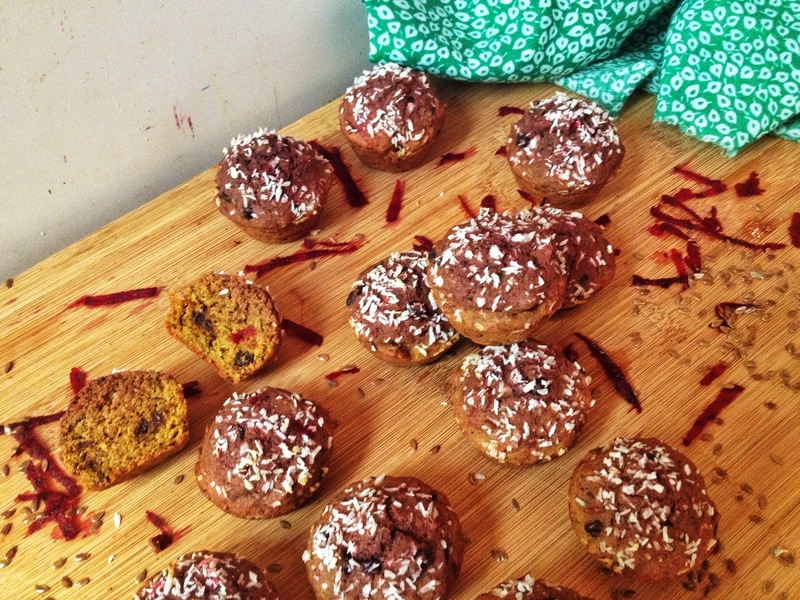 I like to make mini muffins because it’s easier for the kids to handle and good to transport. Also, I make this many because I like to freeze some for later use so I can have an easy snack to grab, or a quick breakfast on the go. Simple and delicious. Nutritious and filling, these are the perfect little muffin to put in my kids snack bag, or as a quick grab-and-go breakfast. We just had our first week of school here and you know what that means?? Muffin time!! I find muffins to be so convenient during the school year as I can pack them with all kinds of nutritious foods and they come conveniently shaped in a ball that fits in all my kids hands! Making them an ideal food. And whether I choose to make them savory or sweet, I usually find a way to sneak in some veggies in there. 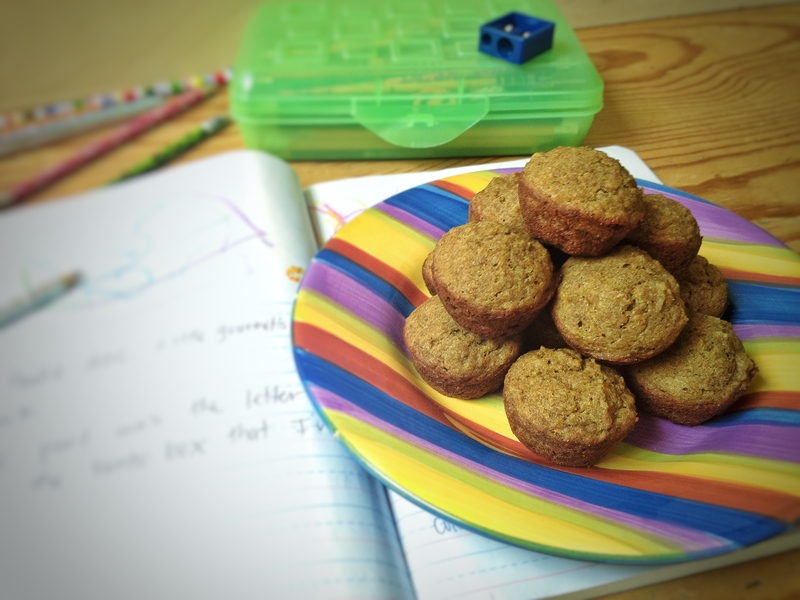 For my little 2nd graders first week I decided to make these simple-in-flavor banana carrot muffins. I made a huge batch and froze about 2 dozen for an easy last minute snack in the weeks to come, ad still had enough to feed all my kids all week. One big baking batch saves me time in the long run. I hope you try these and enjoy them as much as we did! 1/2 cup beet juice (I juiced mine fresh) *optional, I was using this mainly for color which got lost. but it also helped sweeten. If you are going to omit this, add water or milk instead and a little bit extra sweetener.